Living to be 100 used to be unusual. But it's now becoming much more common and is causing a number of unanticipated problems, over and above the strain on Social Security and other benefit programs. Take Gary Lebbin. He'll turn 100 in September, which he's happy about. But his $3.2 million life insurance policies will terminate on that date, which is making him unhappy. So unhappy that he is suing Transamerica Corp. His story is told in today's Wall Street Journal. Lebbin argues that when he bought his policies in the 1990s, he was told that they would remain in force for the rest of his life. In fact, the policies have a clause that stipulates they terminate on his 100th birthday -- a common provision for policies written a few decades ago. 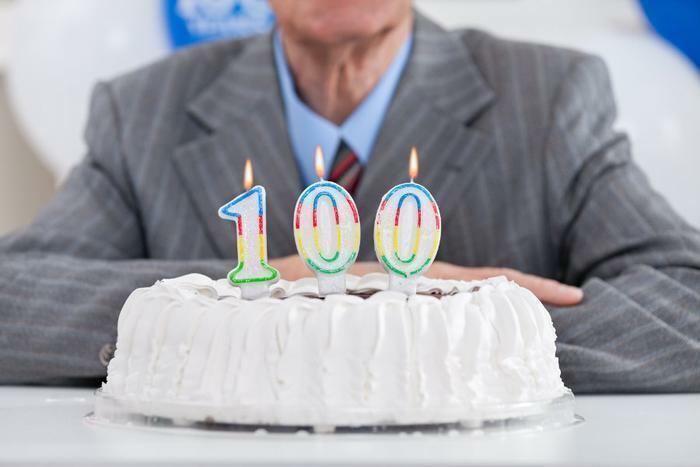 Today, similar policies tend to expire at age 121, which actuaries figure is about the upper limit, at least for now. Transamerica said it is sympathetic but must adhere to the terms of its contract. "We take seriously our obligations to the millions of customers who rely on the solutions we provide and we abide fully by the terms and conditions of our policy contracts,” the company said in a statement to the Journal. Lebbin's case may sound unusual but with more people living to 100 every year, it is likely that others will find themselves in similar situations. The policies in this case are what are called permanent life policies. They combine a tax-free death benefit with a tax-deferred savings plan. So Lebbin will get the savings portion -- the "net cash value" -- back, with interest, but the death benefit will expire on his birthday. Most consumers are not in a position to buy multi-million dollar policies but the expiration date issue may also affect much smaller permanent -- or "whole" -- life policies. Many Americans currently hold permanent life policies they bought years ago and assume they are still in force even though they are no longer required to pay premiums. It's a good idea to review those policies, just to be sure. Many people look at their life insurance as a means to pay their final expenses -- funeral and burial costs -- and provide at least some benefit for their family. For younger wage earners, a term policy -- sometimes called "temporary insurance" is usually the best option. It's sold for a term of 10 years, or some other predetermined period of time. Term insurance is relatively inexpensive for younger people in good health looking to support their dependents when a family's bread-earner dies, but it is not intended to provide a lifelong benefit. The cost of term insurance rises with each year of age and eventually becomes unaffordable for older consumers. That's why, once children are grown and the term insurance has run its course, many people rely on their savings to cover their final costs and provide a small benefit for their survivors. Higher income individuals, like Lebbin, have a more complex situation because they must try to shield assets from taxation. The average consumer is in many cases better off making prepaid funeral arrangements and simply passing on any accumulated assets to their survivors.